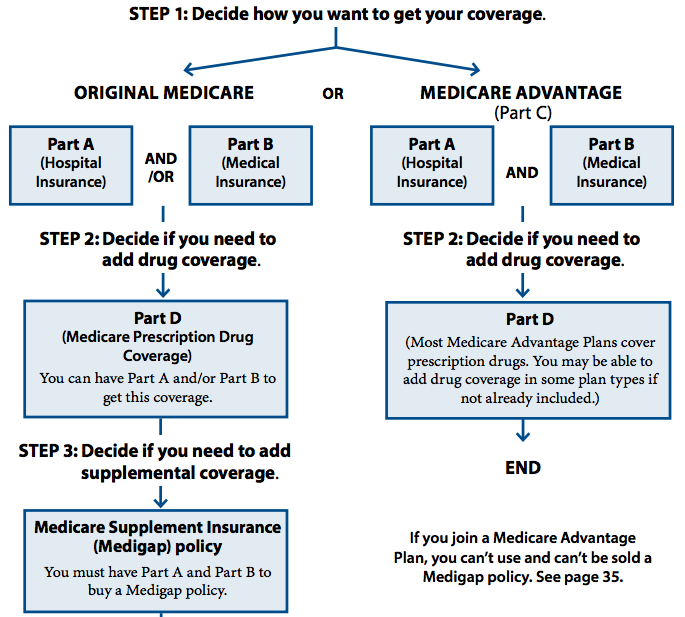 This graphic provided the simple overview of Medicare I needed for retirement planning. You start by selecting one of two paths. For Original Medicare, the feds pick up the cost of the Hospital Insurance and you pay for Medical Insurance (e.g. doctor's visits). Then you decide if you want Prescription Drug Coverage and a Medigap policy, which pays all the copays. 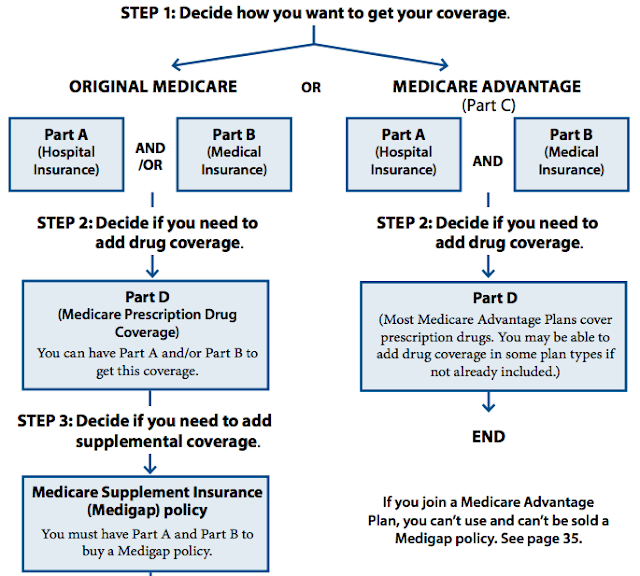 Medicare Advantage has a lower monthly cost, but runs like an HMO with a selected doctor network, copays and deductibles, but comes at a lower monthly cost. All the details are in this PDF document from the Medicare website.